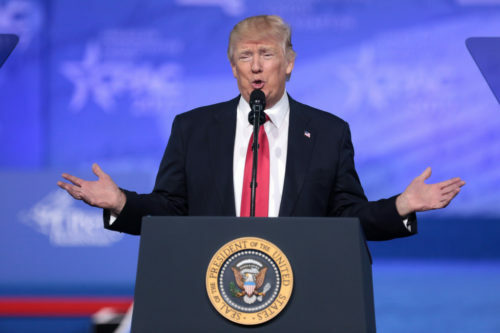 Two people who worked closely with President Donald Trump when he was running for president have been found guilty of crimes. The news is not good for the president and brings serious problems closer to the White House. 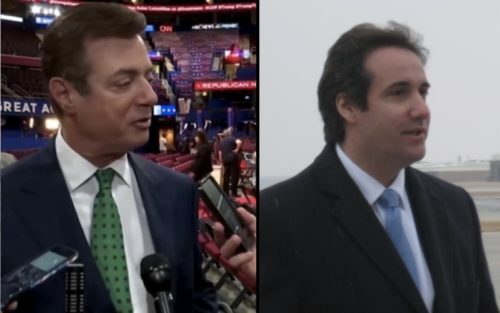 Paul Manafort (left) and Michael Cohen (right) worked wtih President Trump. Both men were charged with crimes. Mr. Manafort was found guilty and Mr. Cohen said he was guilty. The two cases are different, but both are connected to Mr. Trump’s campaign to be president. “Campaign” means the group of people working to get someone elected. Soon after Mr. Trump was elected president, some people began questioning whether there were connections between Mr. Trump’s campaign and the Russian government. Connections like that are against the law. 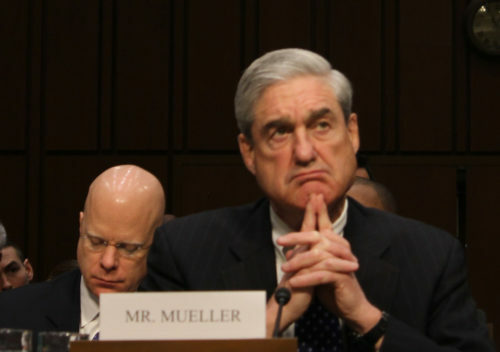 Robert Mueller was chosen as a “special counsel”. His job is to investigate – to try and find out what really happened. Mr. Mueller used to be in charge of the FBI. He has been working with a team of lawyers since May, 2017. Robert Mueller used to lead the FBI. Now he is the “special counsel”. 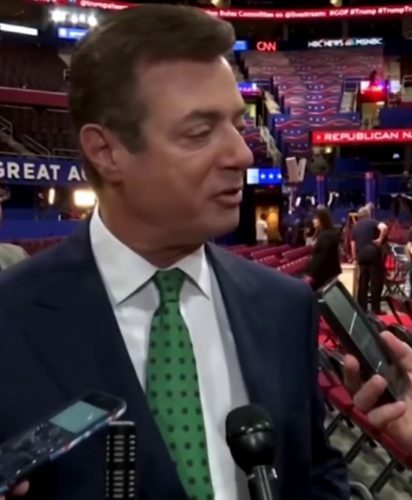 Paul Manafort was in charge of Mr. Trump’s campaign from June to August, 2016. Mr. Manafort quit that job when people began asking questions about the work that he was doing in foreign countries. Mr. Manafort has many connections to Russia and has earned millions of dollars working in other countries. After investigating, Mr. Mueller said that Mr. Manafort had broken the law at least 18 times. Mr. Mueller did not focus on Mr. Manafort’s connections to Mr. Trump or the Russians. Most of the crimes that Mr. Manafort was found guilty of were about tricking banks out of money and not paying taxes. Paul Manafort was in charge of Mr. Trump’s election campaign. He has been found guilty of eight crimes. A jury is a group of people who decide the result of a trial. On Tuesday, the jury in Mr. Manafort’s trial decided that Mr. Manafort was guilty of eight of the crimes. They could not decide about the other ten crimes. Mr. Manafort could go to jail for 30 years or more. 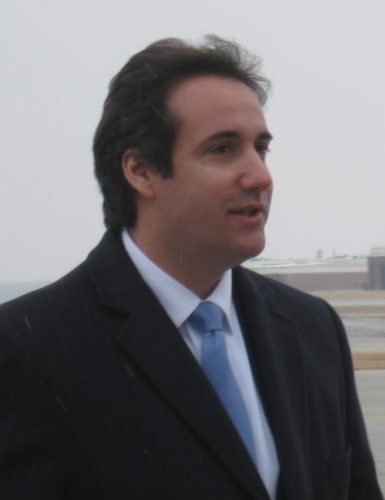 Michael Cohen was Mr. Trump’s lawyer from 2006 to May, 2018. He worked closely with Mr. Trump’s campaign and with Mr. Trump after he entered the White House. Mr. Cohen stopped being the president’s lawyer because he was being investigated. After he quit, Mr. Cohen became much less friendly to Mr. Trump. Michael Cohen was Mr. Trump’s lawyer from 2006 to May, 2018. He has just said that he is guilty of eight crimes. Mr. Cohen made a deal so that he did not have to have a trial like Mr. Manafort. Yesterday, as part of that deal, Mr. Cohen said that he was guilty of eight crimes. Not paying taxes was one of Mr. Cohen’s crimes. But the most important crime was making payments for the campaign that were against the law. Mr. Cohen said he paid money to two women to keep quiet about their connection to Mr. Trump. Mr. Trump and Mr. Cohen thought that if the women told their stories, it would make people not want to vote for Mr. Trump. Mr. Cohen said Mr. Trump told him to make the payment. If that is true, then Mr. Trump broke the law, too. Mr. Cohen could go to jail for as long as five years. Mr. Cohen says Mr. Trump told him to make a payment that was against the law. Mr. Trump does not like Mr. Mueller’s investigation. Mr. Trump was not happy about the results today. Mr. Trump does not like Mr. Mueller’s investigation. He often uses Twitter to say it is unfair. Many people are waiting to see what Mr. Mueller and Mr. Trump do next.